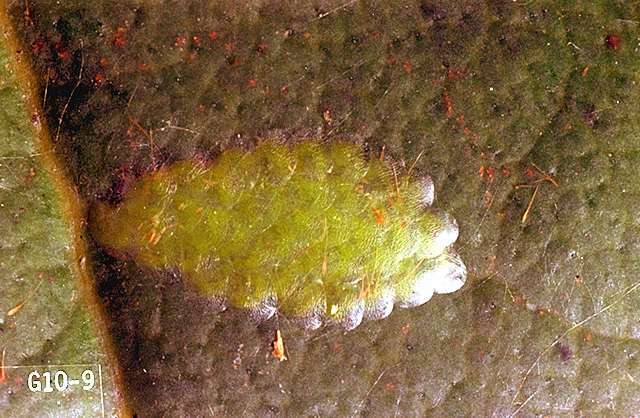 Description and crop damage Larvae are active, dark green, about 0.37 to 0.5 inch long when mature, with a light brown to greenish brown head. 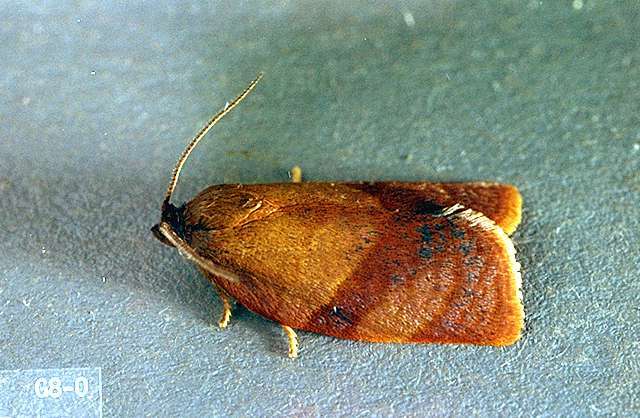 Adult moth has bright light brown or reddish underwings. Darker brown upper wings have a transverse band. 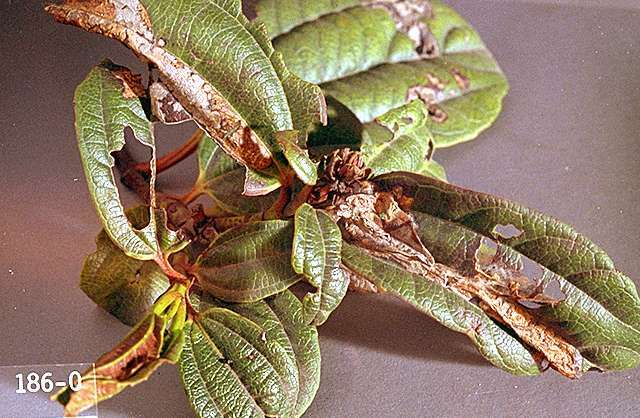 This pest attacks many broadleaf evergreens. Caterpillars weave needles together and feed within, causing small brown clusters of dead terminals. 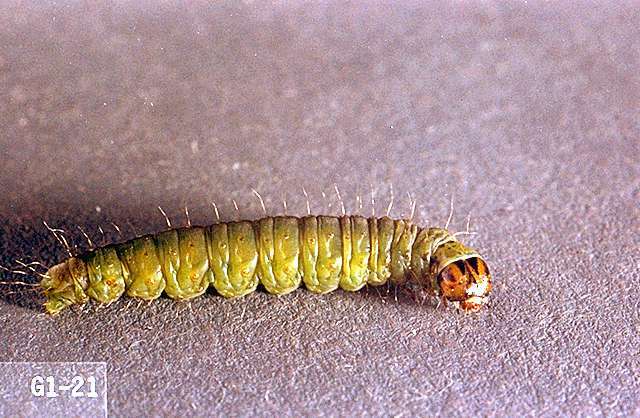 Larvae are active year-round.